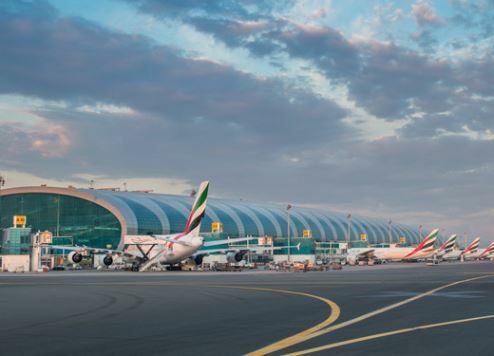 Dubai International Airport (DXB) was the third busiest airport in the world last year, moving up from its sixth place ranking in 2014, according to the Airports Council International (ACI). The airport, which is already the busiest hub for international passenger traffic, witnessed a 10.7 percent hike in total passenger numbers, the council’s preliminary traffic results for 2015 reveal. ACI’s study collated data from 1,144 airports worldwide. More than 78 million passengers passed through DXB in 2015, surpassed only by Atlanta-Hartsfield-Jackson, which saw 5.5 percent year-on-year growth to more than 100 million passengers, and Beijing, which took second slot with 90 million passengers. Chicago and Tokyo rounded out the top five busiest airports in the world. The world’s largest air cargo hub continues to be Hong Kong, ahead of Memphis and Shanghai. Dubai ranked sixth while Doha entered the top 20 after a jump of 46 percent in air cargo volumes in 2015. Dubai Airports CEO Paul Griffiths predicts passenger traffic at DXB will hit the 85 million mark in 2016. The recent opening of Concourse D, which boosted the airport’s capacity from 75 million to 90 million passengers, will support this growth.